Microsoft Studios announced in a blog post on June 27th, 2016 that the Xbox Fitness service on Xbox One would be terminated on July 1st, 2017. The sale of individual workouts was stopped on the day of the announcement while previously purchased workouts remain available through the end of the service. Furthermore, on December 15th, 2016 the “Free with Gold” portion of Xbox Fitness will be removed. This feature allows Xbox Live Gold subscribers to stream free and previously purchased workouts. As of December 15th the only content that will be accessible are workouts that users specifically choose to download to their console. Finally, on July 1st, 2017 the app and all associated content will no longer be available for use. Just over a week later, on July 5th, the original blog post was updated to address outcry by users who had purchased content for Xbox Fitness. Within 90 days of the update Microsoft would deposit a credit for the value of any previous purchases to the users’ accounts for use on Xbox and Windows Store marketplaces, good for one year. The hastily written update states that previously purchased workouts will remain playable until “June 10th, 2017” but this is likely a typo and the original June 30th deadline stands. No reason was given in the blog post but this was presumably an internal Microsoft decision. All content was removed from sale at the same time including exclusive workouts commissioned by Microsoft and those from numerous different rights holders ruling out licensing issues. 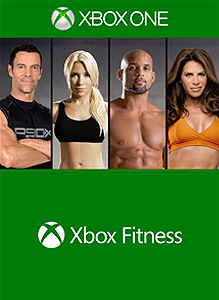 It’s more likely that Xbox Fitness was terminated as Microsoft swung back towards a “gamers first” mentality after the Xbox One’s debut. It is also assumed that sales of content and active users of Xbox Fitness were below the cost to maintain servers and renew licensing deals to honor previously purchased content. The library of workout titles included offerings from Beachbody (P90X, Insanity), Gatorade, MOSSA Fitness and Zumba along with personal trainers Jillian Michaels, Tracy Anderson and others. Microsoft commissioned exclusive workouts for Xbox Fitness including YO:30 from Hollywood yoga instructor Jake Ferree and Mobility and Strength Training for Xbox Fitness from Anja Garcia. Below is a playlist with an overview of the Xbox Fitness app with my commentary followed by all of the workout routines I was able to access after the sunset announcement. The routines have no commentary.